Gardening with love Jo said, and this is true. She gave me the confidence to actually begin growing vegetables and now I realise I actually can! I had the great good fortune to attend one of Jo’s workshops, she set me on the right path. Many thanks Jo! Thank you for a very enjoyable morning , your enthusiasm and knowledge made the whole process of re designing a garden seem just wonderful. I now find the gardening process quite exciting and less daunting so I am now looking forward to starting the construction phase without any stress. The follow up notes are extremely useful and I will endeavour to follow them carefully. I will contact you as soon as the main elements are in place and we get around to some planting! We’ve just got a lovely new house with lots of green space. We have no idea about plants and gardens so called upon Jo to help us. She took us through our garden explaining what we needed to know and giving us some thoughts for the future. 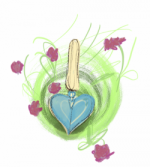 We now have a tailor-made plan of what to do now – which is very different from what we thought we had to do! 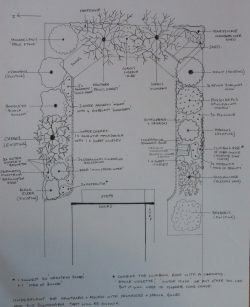 We have some rough ideas of what our garden will become in the future and now lots of time to think about it as we crack on with clearing the space for something beautiful. Jo came to visit for two days. Before she came myself and my husband were overwhelmed: enthusiastic and eager to get going on our new garden but we didn’t know where to start. This is our first real garden and we have a lot to learn. After the two days we have so much more confidence and inspiration. Jo introduced us to all our plants, explained how to care for them and gave us the belief we can do wonderful things without being over ambitious. In the first week after Jo’s visit we mended fences, cleared paths, pruned bushes and visited the garden centre without becoming overwhelmed. Previously, I have come away frustrated and confused. We have two initial projects that are now in our soul – a cottage garden flower border and herb garden in pots on the patio. Small step to begin with. Loving our garden with lots of tea breaks (of the herbal kind). Love you Jo! Thanks so much! 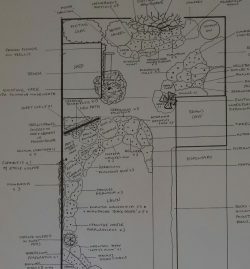 I feel so much less overwhelmed as you help me with my garden in bite sized pieces by asking the most nuanced questions.This detailed plan came only after sending a few dimensions and photos and a Skype chat. You are utterly brilliant Jo. You are worth every penny.